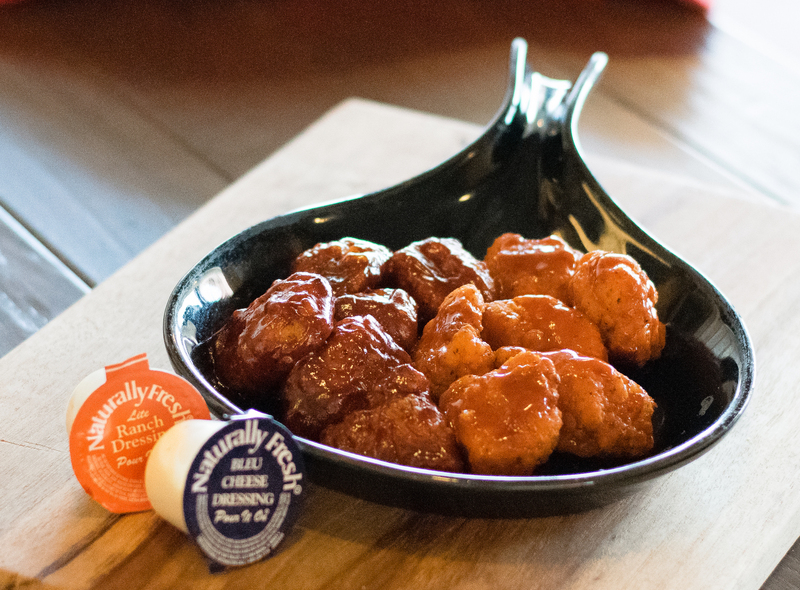 Enjoy these delicious Boneless Chicken Wings in your choice of Plain, BBQ, Buffalo, or Secret Weapon [Sweet Garlic Soy] sauce. Available in 6, 12, or 24 piece portions. Served with a side of lite ranch or bleu cheese dressing.